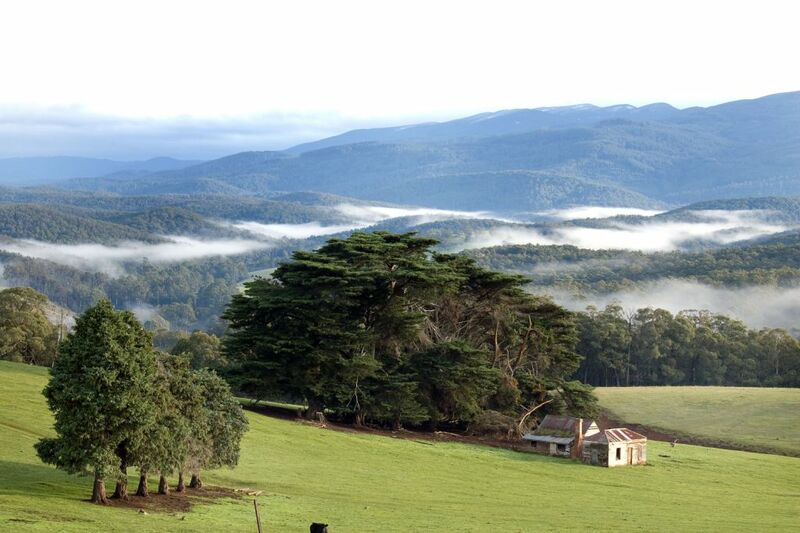 Set in 12 acres of private forest, these ‘Storybook Cottages’ have been individually designed and positioned to enhance the experience and enjoyment for visitors during their time here. Whether you’re looking for a romantic getaway or family holiday, you will feel as if one of these cottages has been designed just for you! 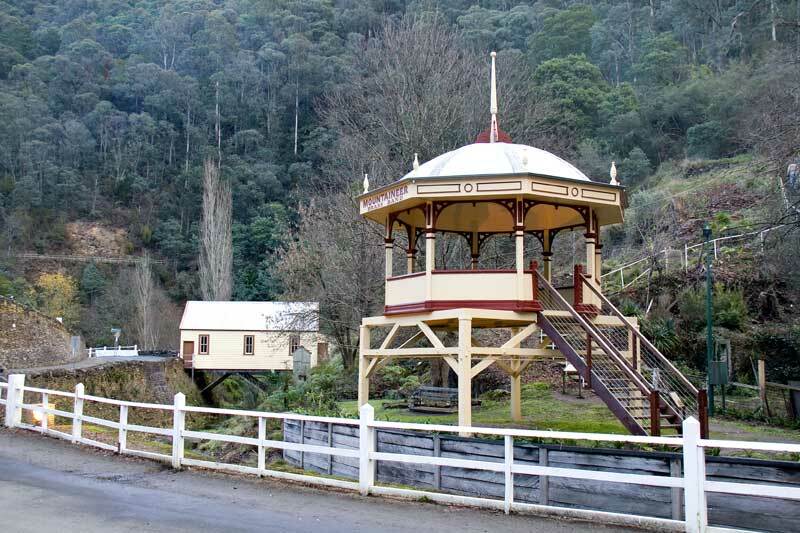 Situated midway between Erica and Rawson, and a short drive from Walhalla, Silvertop Cottages is a great place to relax and escape from the pressures of your working week. 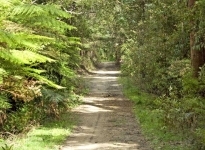 Walking tracks lead directly from the cottages into the surrounding State Forest, you can choose to stroll along the ridge and down through ferny gullies towards the Old Mill Pond and into Erica, or turn left along the Old Train Line towards Thomson and on to Walhalla. 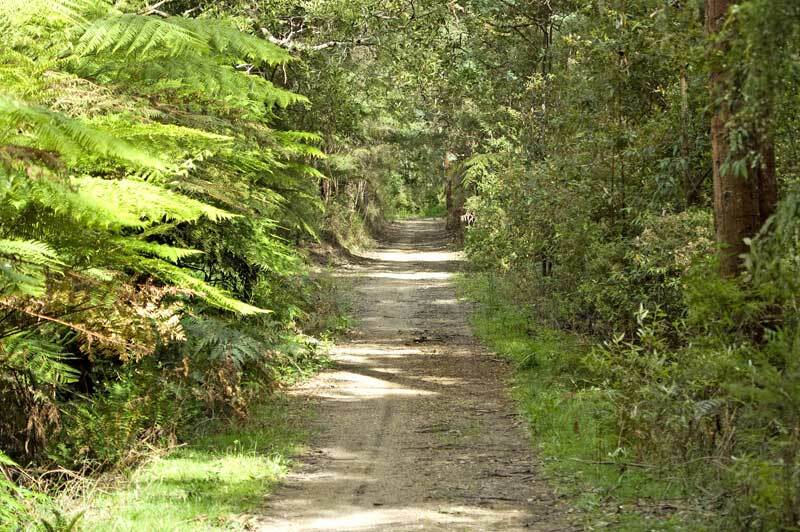 Which ever route you decide to enjoy, you will be surrounded by tall timbered forest and plentiful bird-life, stop, rest and listen to the sounds of the forest before returning to our welcoming cottages. 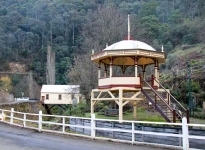 Bring the family and introduce them to some of our heritage and local history in Walhalla, Cooper’s Creek and surrounds. 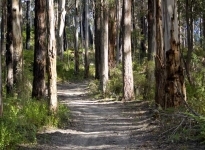 Take them for a walk at Mt Erica or pick up part of the Alpine walking trail, swim, fish or simply paddle in the Thomson River or just take it easy and enjoy the bush. 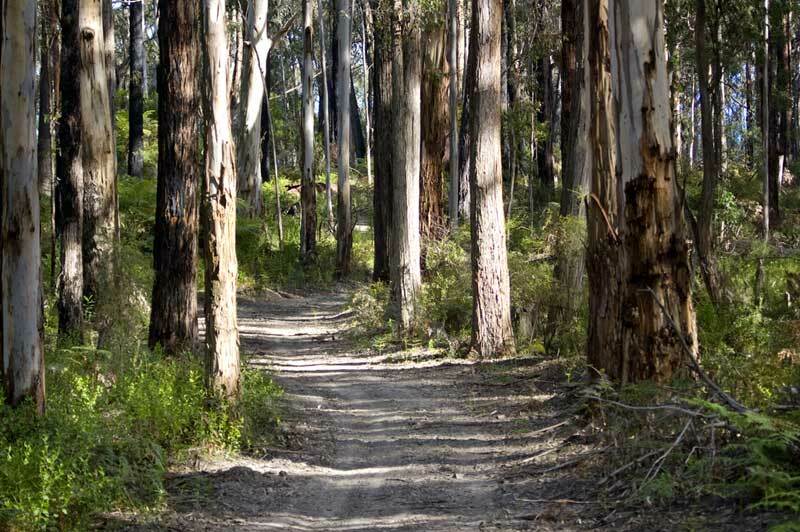 Autumn is here, misty mornings and warm days, enjoy long strolls in the forest and fern gullies of the surrounding state forest. The young birds will keep you amused as they learn to call and harass their parents for food as you walk the quiet trails keep an eye out for the native mushrooms that are starting to appear in the cooling mountain forest. Once you return to our comfy cottages sit back, relax and enjoy the peace and quiet of the forest, rest out on the balcony or enjoy a snooze on the couch!How you enjoy your stay is up to you! Your friendly hosts Julie and Noel McWilliams look forward to welcoming you for your stay in their idyllic forest retreat.